Moore Funeral Home was founded by D. F. Moore, Donald Lee Moore, and C.S. Osborne in 1930, making it the oldest established funeral home in Transylvania County. It was first located in a house on the corner of Gaston and Jordan Streets, across the street from the present day First Baptist Church. Donald Lee went to mortuary science school and was licensed as an embalmer in 1933. He eventually became the sole owner of the funeral home. In 1959, Chester Kilpatrick became a partner in the funeral home and it became known as the Moore-Kilpatrick Funeral Home, and in 1964, Donald Lee once again became the sole owner of the funeral home. John T. Monteith, a graduate of the Cincinnati College of Mortuary Science, went to work at the funeral home. 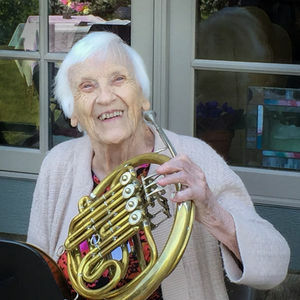 In 1976, Donald Lee, an accomplished composer and musician,decided to retire and he sold the funeral home to John T. and Barbara Schmidt Monteith. Moore Funeral Home opened its doors at the current location at 100 N. Country Club Rd., Brevard, in December,1978. John and Barbara’s son, John H.Monteith, joined the staff in 1984 and became a licensed Funeral Director in1986. In the mid 1980’s, a large viewing room was added to the original building. John and Barbara retired from Moore Funeral Home in 1991. John T. Monteith died on December 28, 2008. Today, the staff of Moore-Blanchard Funerals & Cremations make sure that, in the tradition of Donald Lee Moore, their goals of giving quality service at affordable prices and satisfying the needs of the families with the utmost dignity are met. Your inquiry has been forwarded to Moore-Blanchard Funerals & Cremations.